As part of our Autism Diagnostic Assessment service we may ask you to complete one or several self assessments. Here we provide further guidance on how to complete these assessments. Depending on your individual circumstances we may ask you to complete one or several self-assessments to contribute to your diagnostic assessment with us. Some of these self-assessments require a friend, relative or school to complete to provide us with as much information as possible. Although some guidance is provided on the assessments themselves we felt we may need to provide a little more to make things easier for you. 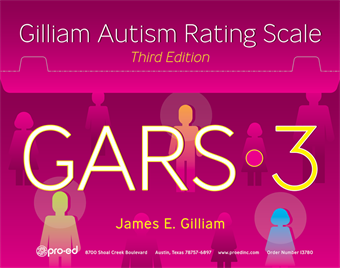 The Gilliam Autism Rating Scale, now in its third edition, is one of the most widely used instruments for the assessment of Autism Spectrum Disorder in the world. The GARS-3 assists clinicians in identifying autism in individuals and estimating its severity. The assessment consists of 56 clearly stated items describing the characteristic behaviours of persons with autism. The items are grouped into six subscales: Restrictive, Repetitive Behaviours, Social Interaction, Social Communication, Emotional Responses, Cognitive Style, and Maladaptive Speech. This provides you with 32 statements that best describe you with 4 possible answers. You need to mark the answer that best describes you in the statement. The self-report version is completed by yourself. The informant version is to be completed by a person who knows you well, such as a parent, spouse, colleague or friend. This checklist has been developed to help us understand more about how you communicate. The checklist is a series of statements describing how you interact with other people. The assessment asks you choose how often you experience what the statement is saying. For example, less than once a week or several times a day. This assessment is sent by email and allows you to complete it online, the results of which are immediately sent to your Psychologist. If you have any difficulty accessing the assessment online, please contact your Case Manager who can help you. The assessment is designed as a trait measure of sensory processing patterns and can provide your psychologist with information about your sensory interests and sensory sensitivities.